Ticket Rewards gives you access to premium brands in live entertainment, movies and more. Redeem $25 and $50 rewards codes like cash for the biggest names in entertainment. Choose from savings on hundreds of theater, sports, concerts and more. No hidden fees and exceptional 24/7/365 support. 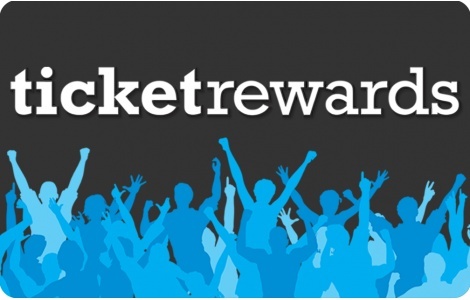 Ticket Rewards code is solely redeemable for product purchases at ticketrewards.com. Code cannot be combined with other codes in a single transaction. Code valid for one time use only, in a single transaction redeemable only at ticketrewards.com. Does not expire and is not subject to fees. Code may not be replaced if lost, stolen, discarded or damaged. Has no cash value and is not redeemable for cash at any time. Code may not be copied, duplicated or reproduced. Code may not be resold, except as authorized by Ticket Rewards. Code is for personal, non-commercial use only. Complete terms and conditions are available at ticketrewards.com. Use of this code constitutes acceptance of these terms and conditions.